Chrysler, Honda and Toyota all count minvans among their top-selling vehicles, while Kia is giving its new minivan a big push. Families are buying into them in a big way. NEW YORK (TheStreet) -- The minivan not only isn't dead, but it's driving big some back-to-school sales for Toyota (TM - Get Report) , Honda (HMC - Get Report) and Chrysler. Often considered a boxy relic from the 1980s and the antithesis of “cool” by more discriminating drivers, the minivan was dropped altogether by automakers including Ford (F - Get Report) and General Motors (GM - Get Report) . Those automakers who stuck with the family shuttle reaped the benefits as recently as last months. Sales of the Toyota Sienna minivan jumped 4.5% in August to nearly 12,400 vehicles. In the entire Toyota stable, the Sienna is outsold only by the mid-size Camry, small Corolla, Tacoma pickup and Rav4 small crossover SUV. 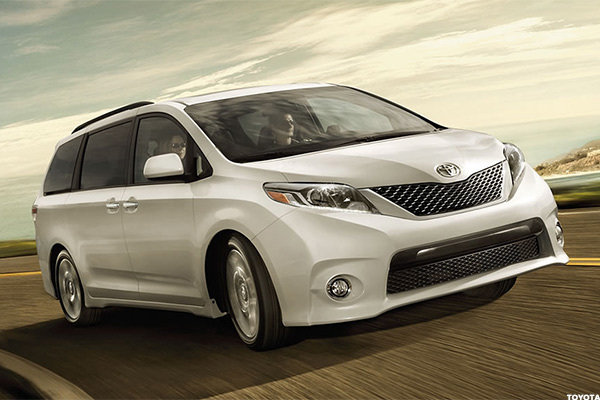 During the first eight months of 2014, the Sienna ran neck-and-neck with Highlander full-size SUV. In August, the Sienna outsold the Highlander as families headed back to school. 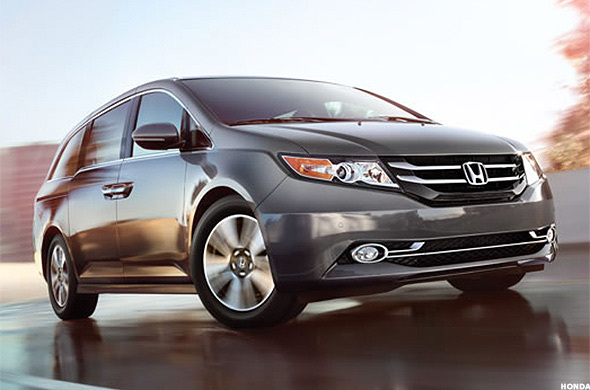 The competing Honda Odyssey, meanwhile, saw sales jump 12.9% in August to 12,500 vehicles. During the first eight months of the year, the Odyssey outsold every Honda but the mid-size Accord, small Civic and CR-V small crossover. That includes the Honda Pilot SUV, which the Odyssey is outpacing by more than 14,000 vehicles. 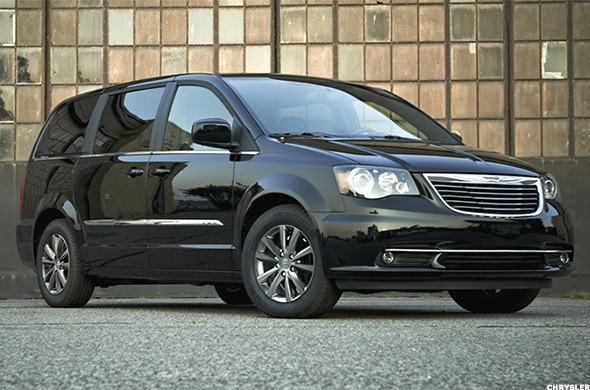 The biggest minivan beneficiary, by far, is Chrysler. Between the Dodge Grand Caravan and Chrysler Town & Country, the automaker has sold nearly 190,000 minivans through August. That not only outpaces the sales of Toyota's RAV4 and nearly equals the sales of Honda's CRV, but it outsells every vehicle in the Chrysler family except the Ram pickup, which has moved 283,000 vehicles through August. The Grand Caravan is the top-selling Dodge, with the second-place Journey SUV trailing by roughly 30,000 units. The Town & Country easily leads the Chrysler marque, with even the redesigned 200 mid-size trailing by 30,000 vehicles. "The minivan has had lasting appeal because of its practical functionality. When it comes to hauling around lots of people and lots of stuff, minivans can be the most practical choice," says Brandy Schaffels, Chief Editor for AskPatty.com, an automotive advice site targeted toward women. "Unlike most large SUVs, their low and flat floors allow easy access for loading passengers and cargo, and sliding doors make it easy to get lots of people and big objects in and out quickly." The difference in passenger and cargo space can be considerable. The GMC Acadia and Cadillac Escalade are both large SUVs with considerable cabin and cargo space. Each has about 120 cubic feet of space behind its front seats to create a comfortable and cavernous interior. Now consider that the same space in the minivans listed above ranges from 140 cubic feet for the Town & Country to 150 cubic feet for the Sienna. At its largest, that's 25% more room to work with than two of the largest SUVs on the market offer. That mix of space and features can make or break a minivan in the current marketplace. The Mazda5, for example, gets a combined 24 miles per gallon similar to the Honda Odyssey, but lacks similar features including a backup camera and trip computer. It also offers just 44 cubic feet of cargo space with the third-row seats down, compared to around 90 for the Odyssey and Sienna. The Mazda offers only 93.1 cubic feet with its second row down, which is a big reason why Mazda only sold 10,000 of it through August and is killing the vehicle altogether in 2015. In contrast, Kia is offering a new generation of its Sedona minivan for 2015 that gives it 141.5 cubic feet of total cargo space similar to the Odyssey, Grand Caravan or Town & Country and loaded with perks including rear parking assistance, leg rests in the second-row seats, hands-free liftgate, collision alert, 360-view camera and more. In a segment that loses entrants far more than it welcomes them, the upgraded Sedona is a rare newcomer to what is generally considered a three-way race. Considering that the 5,000 Sedonas sold through August are little more than a third of the number of Odysseys that Honda sold in a month, it's a steep climb upward. "Even though they’ve gotten pricier as they get more features, most nicely equipped minivans are still more affordable than a full-size SUV offering similar cargo and passenger capacity," Schaffels says. The minivan's price tag is a large part of its post-recession appeal. The Sienna offers space and features similar to Toyota's Sequoia full-size SUV, but its $27,000 starting price is well below the Sequoia's $44,000 and its combined 21 miles per gallon are far more efficient than the Sequoia's 15 mpg. Getting a whole lot of space and features for $10,000 to $20,000 less than a similarly sized and stocked full-size SUV is certainly a big perk, but minvan's day-to-day practicality continues to give the the vehicle its greatest edge. "Honestly, on the simplest level, it’s much easier to change a baby’s diaper on the floor of a minivan than it is on the floor of any SUV I’ve ever driven," Schaffels says. "And dealing with diaper changes on the go is something that parents often have to deal with. I’ve done it in the trunk of my 1996 Honda Accord and on the back seats of many other sedans; SUVs don’t offer the convenient floor space and their seats are usually too high to change a baby on."